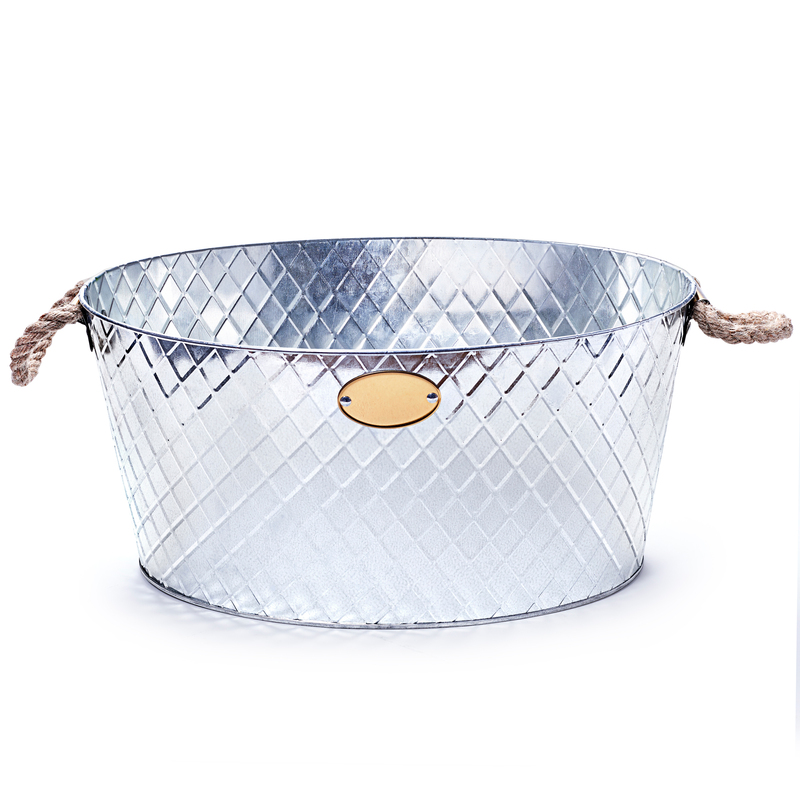 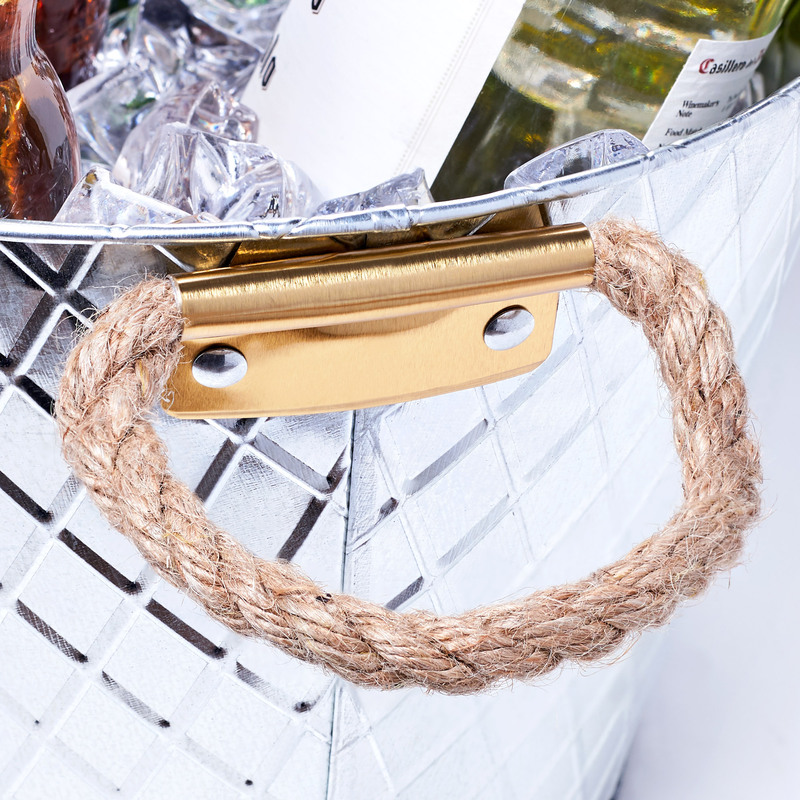 The Oval Drinks Pail with Rope Handles brings rustic charm to serving refreshments. 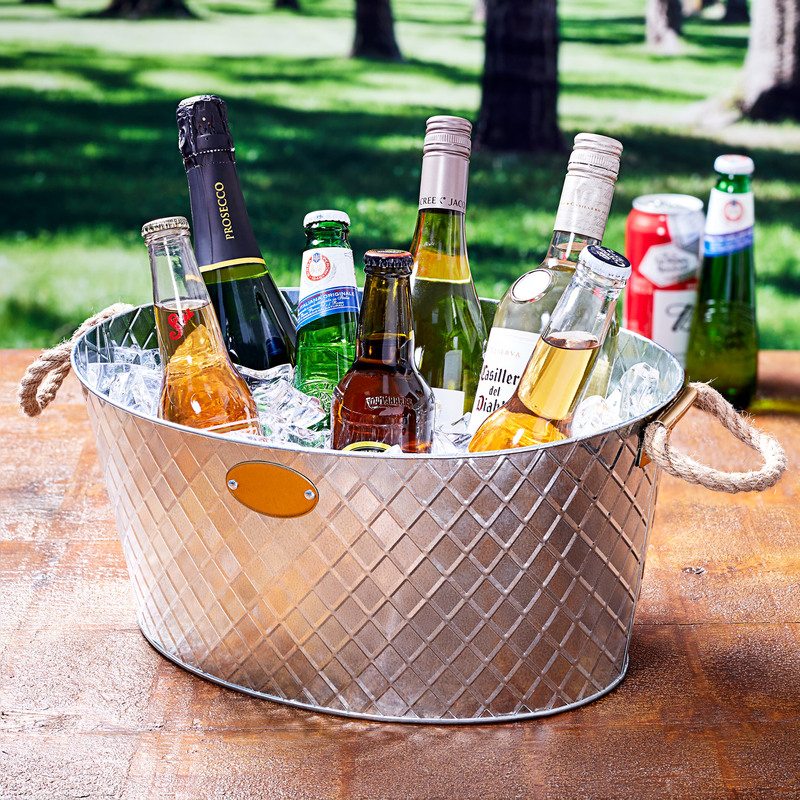 Ideal for filling with cans or bottles and plenty of ice, this party tub is an essential item for BBQ's or large gatherings. 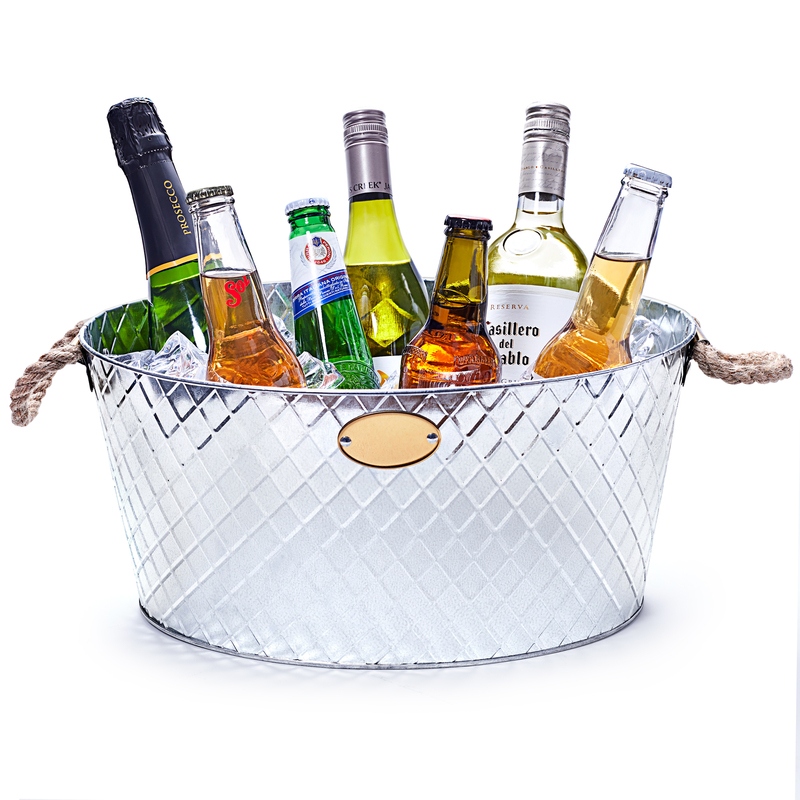 Perfect for indoor or outdoor use, this galvanised steel drinks cooler is ideal for serving a variety of beers, wine, champagne or soft drinks. 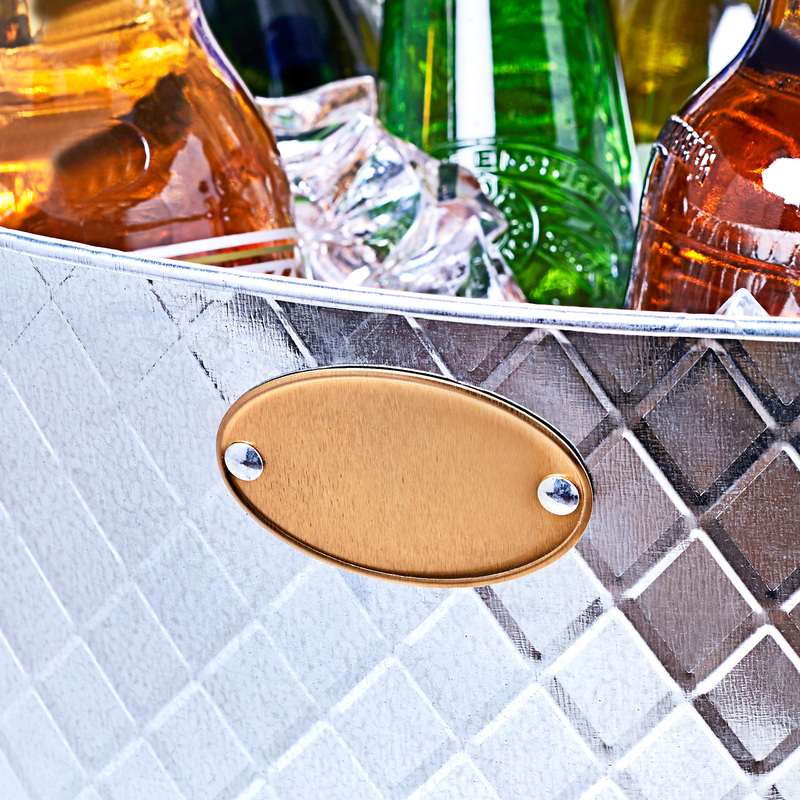 The diamond effect embossed pattern provides a touch of class to your drinks presentation.